Smile Makeover from Rye Dentist - Dr. Fu brings renewed confidence to your smile. The definition of a smile makeover is different for every patient. At Chester Hill Dentistry, your new smile is customized to your oral health needs, whether it involves advanced dentistry treatments, cosmetic dentistry treatments, or both. Dr. Chi Fu are prepared to help you achieve the smile you’ve always wanted, and the good oral health you deserve. Do I Have Time for a Smile Makeover? The word “makeover” is easily misinterpreted as something that takes a long time to achieve. A smile makeover, however, can sometimes be completed in as little as one visit to your Chester Hill dentist. Sometimes the makeovers take two or three visits. Ultimately, no patient ever regrets the time they invested in recreating their smile. The only thing you need to be a candidate for a smile makeover is a desire to have healthier and better-looking teeth and gums. Age is irrelevant. Your smile doesn’t need to be in great disrepair to warrant a smile makeover. A one-hour teeth whitening treatment qualifies as a smile makeover if you walk away feeling refreshed and like the best version of yourself. Every adult qualifies for a smile makeover, though it is important to note that some patients require a little more TLC. If you are suffering from gum disease or serious decay, these problems will need to be addressed first. You can’t build a new structure on a shaky foundation. Getting your gums back into fine shape is necessary to ensure that whatever cosmetic dentistry or advanced dentistry you have done afterward will be long-lasting. What Kind of Smile Makeover Should I Get? The condition of your teeth will dictate what treatments are best for your smile makeover. Your Rye cosmetic dentist will present you with the most logical options for your smile makeover so, together, you can determine the most efficient and cost-effective way to get the results you want. 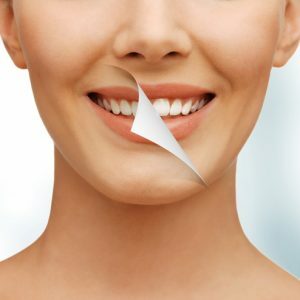 Porcelain veneers, when you have multiple aesthetic complaints and want a flawless, straight, white smile with one cosmetic dentistry treatment. Lumineers, when you want a treatment that offers the same results as porcelain veneers, but you want it to be less-invasive. Teeth whitening, when you want a whiter smile, even if your teeth aren’t perfectly aligned. Composite fillings, when you want white fillings that blend in with your natural enamel. Dental implants, when you want to replace missing teeth. Porcelain crowns, when you want to fix bothersome broken teeth and prevent them from getting worse or affecting nearby teeth. Quite often, dental patients require serious intervention in their oral health because they have waited so long to visit the dentist. Whether it is anxiety or finances that have kept you away from the dentist, know that your oral health is just as important as the rest of your health and well-being. How well you take care of your teeth shows others that you take pride in your appearance and that you know how important it is to have a good smile. It is possible to have the smile you’ve always wanted. Your smile makeover will be personalized to you, whatever your time constraints, budget, and oral health needs. It is never too late to take better care of your teeth. Your Rye dentist can get you back on track so that your mouth is healthy and clean and prepared for a life-changing smile makeover. Contact us today to make an appointment with Dr. Chi Fu to get on the path to a new smile and a new you.